Earlier today, Capcom announced that Street Fighter V will be receiving some festive, holiday-themed costumes that will hopefully help light up your holidays. The game will also be receiving Nostalgia costumes that harken back to Street Fighters past and allow players to dress up their fighters as older versions of themselves. The Nostalgia and Combat costumes – also found in the gallery above – also gives fighters a blast to the past in the form of older costumes. 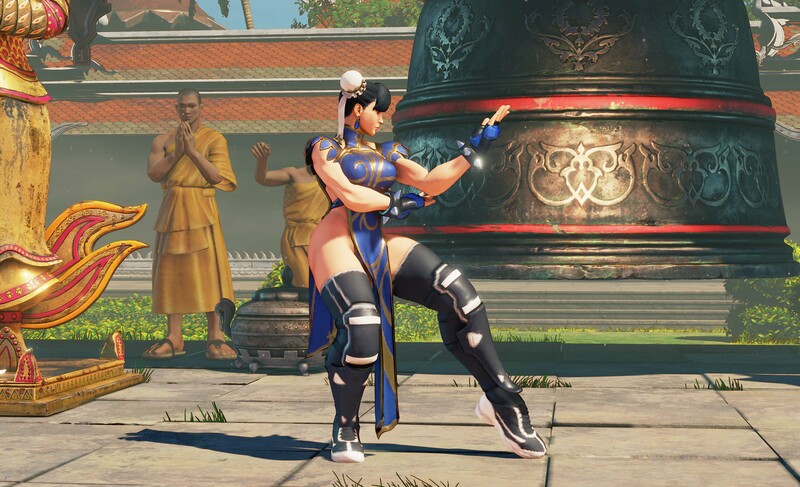 Karin, Birdie, Balrog, and Chun-Li all get older costumes in the Nostalgia department, and Chun-Li also gets another police-themed outfit to battle in with the Comabt costumes. Capcom didn’t release images for every costume and character, so fans will have to wait and see what surprises are in store for fighters when the costumes drop later this month. Players can pick up the new costumes on PlayStation 4 for $3.99 each starting on November 29. What do you think about the new costumes? Are you excited to deck the halls in Street Fighter V? Let us know in the comments below.